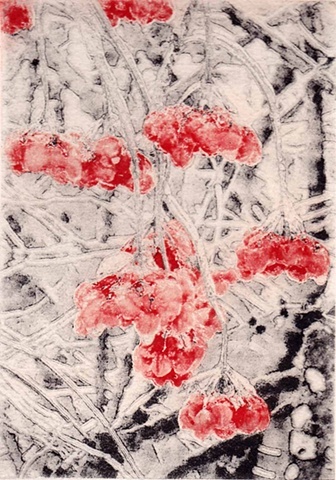 Snow-dusted red fruits of highbush cranberries (Viburnum trilobum) in our yard inspired this print. The colors come from sequential printing of two separate solar plates. Edition of 2.